According to Art. 10 and 13 of law 675/96, and according to Art. 10 of law 675 dated 30 Dec. 1996, the apartment Agave declares that the information you provide will be stored on a magnetic and paper support, to satisfy your needs. 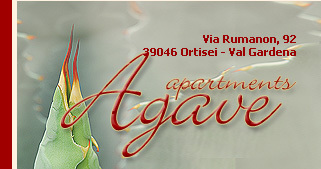 The owner of the aforementioned supports is the apartment Agave, in Ortisei - Val Gardena. By clicking on the button shown below, you agree to process the information. Your consent is not mandatory, but without it we cannot receive your information. You have the right to refuse to allow all or part of your information to be processed, exercising your rights according to Art. 13 of law 675/96. 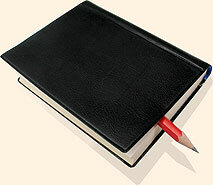 The apartment Agave pledges to process your information with the utmost confidentiality.